A lack of cricket can drive a man to do the most desperate of things – like start a team and build your own hi-tech indoor cricket net on top of your factory in Chiba. This is exactly what founder, patron and first club captain, Mr. Hasib Rehman, did in 2003, thus establishing the ‘Ichihara Cricket Club’. The inaugural season saw us finish with an unspectacular record of 0-3, but as they say, “from little things, big things grow”. Over the years the club has grown and evolved, becoming the ‘Ichihara Sharks’ in 2005, and, from season 2009, the ‘Chiba Sharks Cricket Club’. We are a diverse bunch sharing the goals, highs, and lows of playing cricket in Japan, but above all, enjoying ourselves. Alas, we no longer have our wonderful indoor net facilities in Goi, but we organize trainings instead at a superb outdoor facility, Akai Farm Cricket Nets, in Kamatori, just outside Chiba. Like our namesake, the shark, the Chiba Sharks Cricket Club only moves forward. The Chiba Sharks Cricket Club mainly play in two competitions, the Japan Cricket League (JCL) and the T20 Japan Cup (JCup). 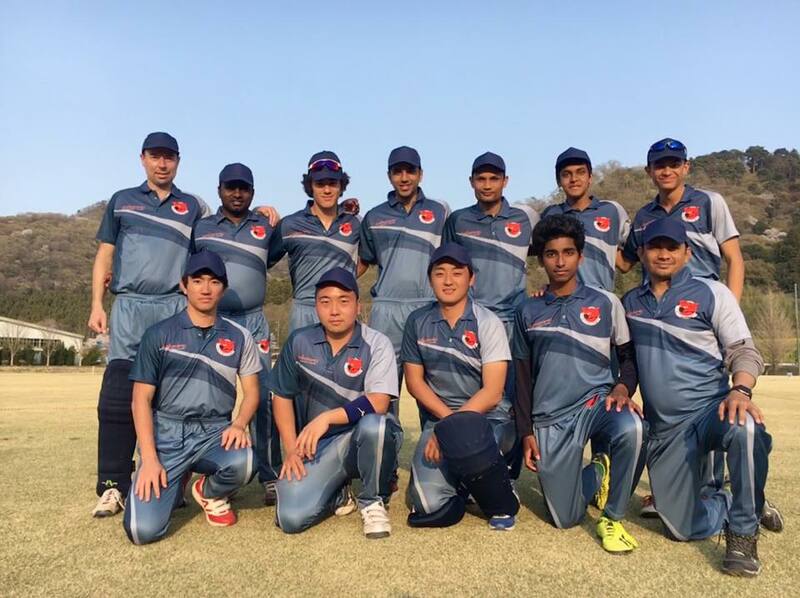 In previous seasons we have also played in the Kanto Cricket League (KCL) but our busy schedule has not permitted this recently. Our season runs roughly between early April and the end of August, with finals through the following month. The Japan Cricket League has two divisions with about 5 – 7 teams in each, and our 1st XI play in Division 1 while our 2nd XI play in Division 2. For the Japan Cup, teams are split into two groups of about 4 with the top teams facing off for the finals. Most matches are played at Sano River Grounds (Gunma) and Sano International Cricket Ground (Tochigi) and Sammu Cricket Ground (Chiba). We also play a match or two at the distant but iconic Fuji Cricket Ground (Shizuoka) and Yokohama Country and Athletic Club. Take a look at the Frequently Asked Questions below to see if the Club is right for you. If you think it is then the next step is to contact our Secretary at chibasharksinfo@gmail.com to arrange to join a training session. What kit do I need? We have a high quality coloured team kit that each member is expected to buy for the subsidized price of ￥2000. Shirts are available in short sleeve or long sleeve (or both). Your club cap is included in your membership.